If you're not keeping score, it doesn't count. A tool to balance and improve your life. 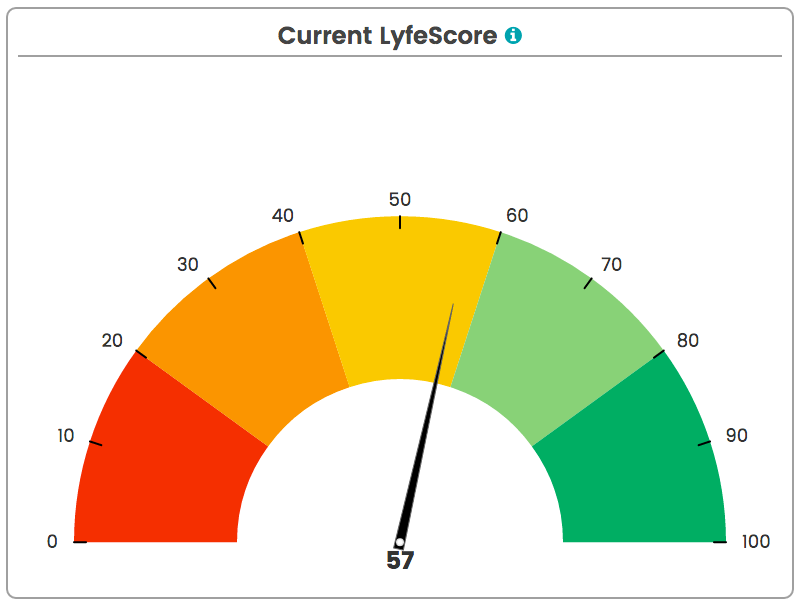 LyfeScore is a fun, effective, and easy-to-use personal accountability tool. Think of it as a scorecard for your life. After all, how can you expect to win at life if you're not even keeping score? 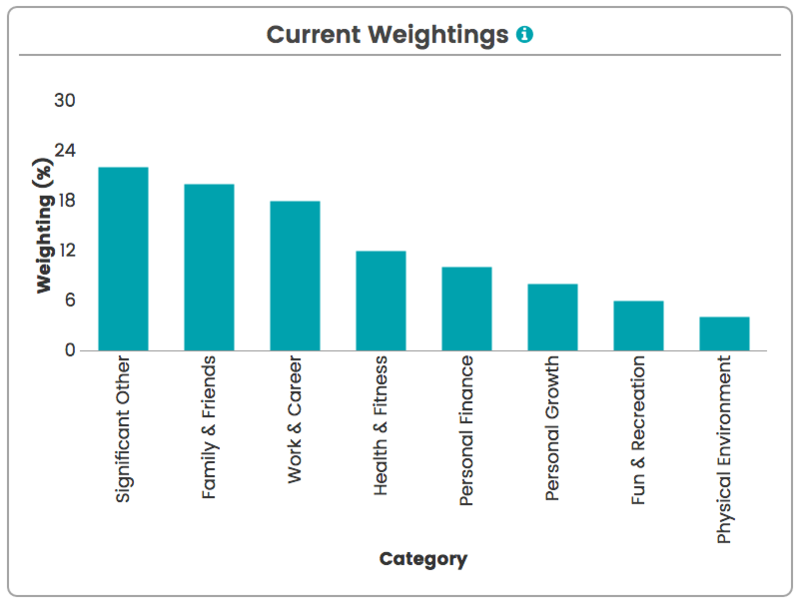 Define your life categories that are important to you, and prioritize each category by assigning a weighting to it. 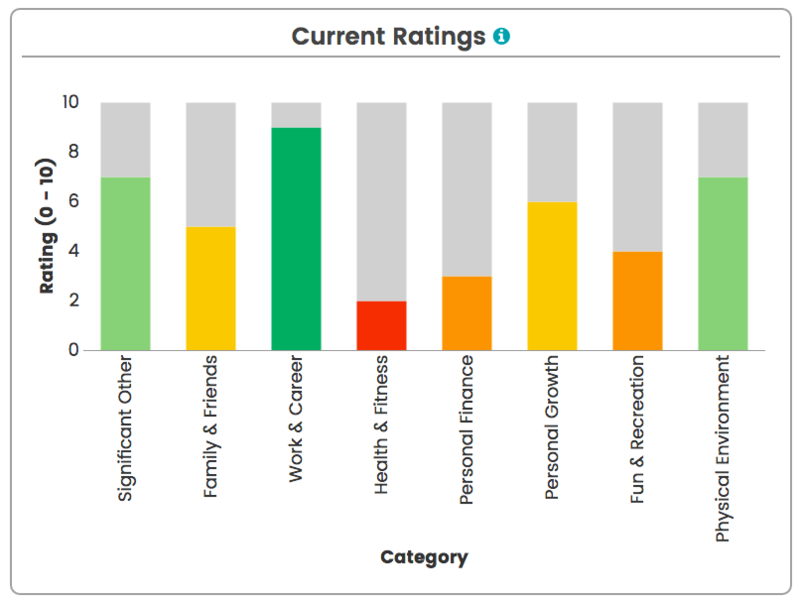 Rate your life categories based on how you performed that week to determine your current LyfeScore. Analyze your performance, identify areas for improvement, and track your progress over time to lead a balanced life. In addition to tracking your ratings against your expected habits, you can also track your goals and define your vision for each of your life categories. • Vision: Define your personal vision statement, and maintain a vision board that inspires and motivates you to achieve your goals and improve your life. • Goals: Define your SMART (specific, measurable, actionable, realistic, time-based) goals for each category, and track your progress each month. • Habits: Define your expected habits for each category, and track your ratings each week. • Categories: Define and prioritize your categories, which will serve as the foundation for your habits, goals, and vision. Our simple, intuitive website makes getting up to speed fast and easy. Customize your life categories and settings to best meet your needs. Quickly and easily identify your strengths and areas for improvement. Join a community of like-minded people looking to improve their lives. All subscription plans come with online technical support. Your privacy and security are at the center of everything we do. Try LyfeScore free for 30 days (no credit card required) before deciding which subscription plan suits you best. What's your LyfeScore? Click here to find out. Copyright © 2018 Mana Labs Pty Ltd.